Welcome to Escola de Inglês - Air English School: Are the yellow dots disappearing? 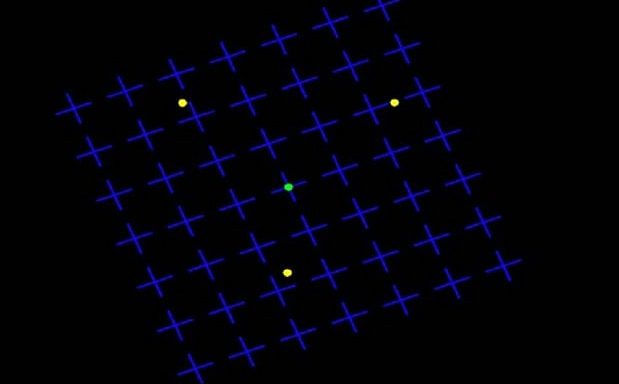 Are the yellow dots disappearing? If you focus for a few seconds on the green dot in the centre of the grid, the three yellow dots surrounding it will start to fade away and probably make you feel a little dizzy. 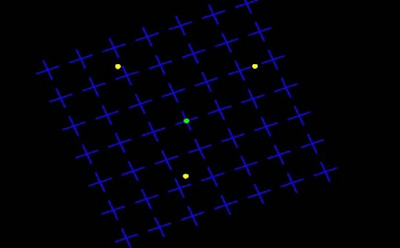 If you focus away from the centre dot, the yellow dots will reappear. Some research suggests it highlights a human visual processing failure which causes the peripheral objects to be temporarily eliminated from view; however others argue there is actually a useful reason for it.